Over last weekend I was able to take part in the console beta for Elder Scrolls Online. Now, I’ve never played MMOs before – the idea of a subscription fee, on top of the cost of the game turned me off. But now that MMOs are turning more and more to free-to-play models, I’m finding myself thinking about them a bit more. Elder Scrolls Online was always there in my mind, just because I am a big fan of the series in general. Of course, free-to-play doesn’t exactly mean free, and I’m sure in the full game the pay options make the grind easier. But I went in this weekend relatively open minded, more interested in getting a feel for the mechanics and maybe make my mind up about picking up the game when it launches this summer. What ESO has going for it best is the universe. The world of Tamriel benefits from over twenty years of games, with an incredibly in depth lore that’s been crafted. The action/gameplay has also evolved over the last 10 years or so to be a really nice, refined RPG system – especially following Skyrim. Ultimately though, those same strengths really kept me from being super engaged in ESO. I found myself playing faster than I normally do with Elder Scrolls games, just so I could get to the public zones to see what the MMO aspects were like. In the end I didn’t really want to worry about other people in my game, I was more interested in going slow, reading everything, exploring every corner of every room, and in the end, I wanted this to be a single player experience. There is plenty to like here – the action is pretty solid, the game looks good, and there’s still the same level of detail that we expect from Elder Scrolls Games. The story seems like it’s one of the stronger Elder Scrolls entries in recent memory. The main quest in Skyrim was never really the main draw for me, while Oblivion did grab me, once I actually started playing it. I think by telling the story of the three warring factions has potential – but, again, I think telling it in the context of the classic Elder Scrolls style game would be a stronger experience. It puts more freedom in the player’s hands – from a role playing perspective, you can play multiple roles within the scope of the story. For example, the Aldmeri Dominion only features the High Elves, Wood Elves and Khajiit as playable races. But I think playing as one of the other races, within the context of the Dominion opens up other interesting options for story-telling. Ultimately, I don’t think that Elder Scrolls Online has made it’s way into my list for this summer. It’s solid, but I’m already overstocked with RPGs – Dragon Age, Diablo III, Borderlands and Destiny – as it is, adding an MMO is a major timesink. It’s something that I would probably recommend for new comers to RPGs, since it does a pretty solid job of explaining everything, but in the end, I’m more interested in other games this year. Bungie has started ramping up the hype train for the upcoming second DLC for Destiny by having weekly livestreams over on Twitch going over a couple of the features we’ll be seeing. I just want to give my thoughts on what we’ve seen so far, and maybe look forward to the fall. First off, last week we saw Bungie go over the new social zone that will open when House of Wolves goes live. The Tower won’t be the only social space starting on the 19th – we’ll now have access to the Reef. The Reef is available for everyone, even those who don’t buy the DLC. In the Reef we’ll get to meet a whole new group of vendors, from new individuals that fill the same familiar roles – Berg 99-40 (bounties), Sentha 55-30 (Postmaster), and Master Ives (Cryptarch) – to fresh new faces that tie in with the DLC. The new story missions will be coming our way from Petra Venj, making her return after the Queen’s Wrath event. She’ll be filling a role very similar to the one that Eris Morn did for The Dark Below. And then we Brother Vance, our contact for the Trials of Osiris; and Variks the Loyal, the contact for the Prison of Elders. The Vestian Outpost, our new Tower, has a really cool feel to the design, it’s grimy, and looks a lot more lived in than the Tower. I’m excited to get some time looking around for the new Ghost shells that Bungie has hidden around. Now there’s still a bit out there in the ether – mainly surrounding the story missions and Prison of Elders. Today they showed us the Trials of Osiris – the new end-game PVP experience. After the more recent patches have changed up the PVP a bit, I’m actually more interested in playing the Trials than I had been. No matchmaking for party members means you need a preset group of friends, but also ensures a better teamplay experience. The fact that the Trials are weekly – running Friday through to the weekly reset – means there’s plenty of time to build up a good record for rewards. The new gear looks pretty sick, with a strong Egyptian influence, and also lets PVP players reach the new level cap a bit easier. The big news for me was that Bungie has said that all Crucible modes will feature a more generous drop rate for gear – meaning less chances for the guy who finishes a game in last to be the only one getting gear. Since it is end-game level, they enabled level advantages too, making it more appealing for max level players. 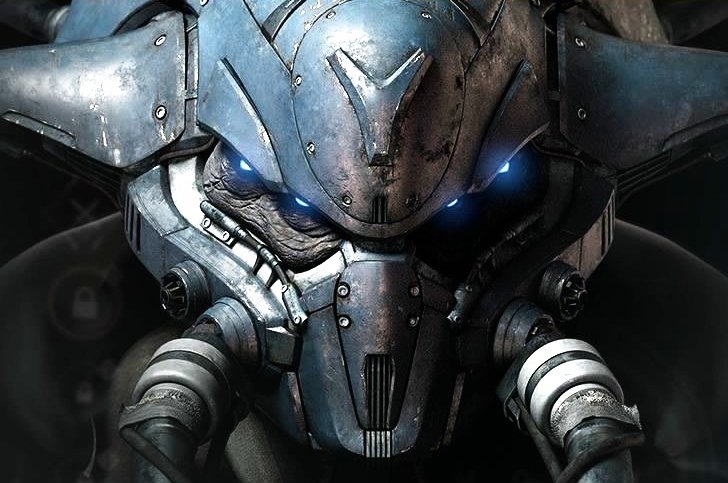 A lot has been made over the lack of a new raid in House of Wolves. Sure the raids have been the most engaging parts of Destiny so far, but I also think that they get overplayed a bit. Switching the end-game PVE over to the Prison of Elders is a smart move, just going on what little we know. We know that it’s going to be weekly, and that there is a different set of challenges that will be associated with them each week. We also know that the Prison is only for fireteams of 3, which may actually open them up to more players. You won’t need to get a full six man team anymore, and can go in with just a strike team. I’m curious to see what the gear will look like – Bungie has teased a bunch of new gear that looks a lot like the weapons that the Fallen used. I don’t know if they’ll be loot from the Prison, or just new gear that we can earn. I was one of the biggest Destiny defenders at launch – sure it has issues, in particular with the story-telling – but it’s still the most fun game I played last year. I thought the gameplay and visuals were superb, and I loved the design. Dark Below extended its life a bit, but I, like a lot of Destiny players, hit a wall after finishing the Crota raid. I had reached the level cap, with pretty much all the gear I wanted, and without a consistent group that liked PVP, I had moved on to other games. There’s still a lot on my plate, but I have to admit, House of Wolves has me excited to play Destiny again. May is generally a slow month for releases anyway, so I think the timing is pretty perfect. Bungie might just have a solid month on their hands. We’ve finally reached the end of our journey through all the playable characters available in Borderlands: The Handsome Collection. Each games’ six playable characters all have their own feel that helps make them all totally different. I’ve tried to keep these posts relatively high-level, that way there’s still plenty for you to discover. Today with the last character we’ll be looking at Aurelia, the Baroness. She’s Sir Hammerlock’s sister, and is all about using the new Cryo element. Aurelia is the last DLC character available in either of the two games. Her action skill, Cold as Ice, tosses out a frost diadem, which will seek out enemies and cause frost damage over time. It continues to seek out enemies after it kills them, until its time is up. As such, you don’t need to go out of your way to find cryo guns, since you always have access to frost damage. Of course, depending on how you move down her skill trees, you still might want to keep your eyes out for certain weapons. Her first skill tree – THE HUNTRESS – is the one that’s going to have you focusing on specific weapons. In this case, you’re looking for sniper rifles, which is nice, since there really isn’t another sniper-centric character in The Pre-Sequel. The skill tree isn’t solely focused on the rifles though, you have gun bonuses that apply across the board. If you do focus on sniping, then you’ll really like Long-Range Killer, which does extra damage based on how far you are from your target. There’s another distance based skill in here too – Magic Bullet. Critical Hits regen health, but the big thing is crits from snipers generate healing novas, with more health healed based on how far you are. And the capstone skill for this tree is really nice – Custom Loads. When you zoom in, a wheel spins with the elemental effects available, firing will apply that effect to any shot until you descope. Add in that critical hits generate novas of that element, and you have a super versatile skill. Aurelia’s second tree – COLD MONEY – focuses around cryo damage, as well as Cold as Ice. Early on in the tree you have two skills that impact cryo damage right away. Avalanche is a stacking skill that increases your cyro damage and freeze chance, based on stacks, which you gain by dealing cryo damage. Bitter Riposte has you firing out ice darts at any enemy that damages you while your shield is fully charged. My favorite pick for Cold as Ice upgrades goes to Polar Vortex, which has your frost shard draw in nearby enemies whenever it latches on to an enemy. And then we get to the capstone skill – Winter Tide – which is a kill skill. Whenever you kill an enemy, all of your non-cyro guns deal cryo damage in addition to their usual damage, and your cryo guns do even more cryo damage. Her final tree – CONTRACTUAL ARISTOCRACY – is the one that’s a little interesting. The whole focal point here is getting your teammates to sign contracts, making them your servants. When you get a servant, they gain increased shield capacity, and the contract only ends when either of you die. A lot of the skills here focus on getting bonuses for you and your servant. There are also a couple – especially in tier two – that keep you both alive. It’s hard to point to one specific skill and say that it’s the most important one to take, just because if you’re using this tree, you’re playing co-op and you’ll want as many skills in there as possible. The capstone skill though is pretty cool – A Backhand to Remember – which is a melee override. You backhand enemies, which has knockback and cryo damage, as well as providing movement speed and reload speed buffs for your allies. Aurelia is a pretty straightforward character when it’s all said and done. Even though the contract mechanic is a little out of the norm, it’s essentially just turning you and an ally into a two-man team. She’s a great option for crowd control thanks to the focus on cryo damage, and pure damage thanks to the extra sniping skills. For a DLC character, she is actually a really strong option to add in to any party. Of the four DLC characters, I think that Aurelia and Gaige have the most effectiveness overall, with Jack close behind and Krieg being a bit more specialized. 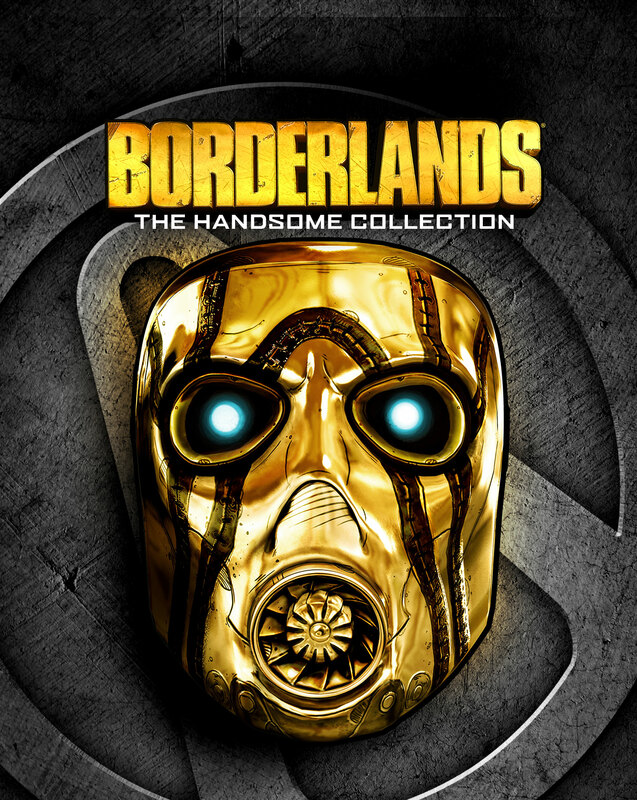 And that brings us to the end of our Borderlands: The Handsome Collection coverage. It’s a fantastic way to experience two of the best games in recent years. It’s fun to play solo, but it’s hands down a better experience co-op. Grab some friends, pick your characters and dive in. 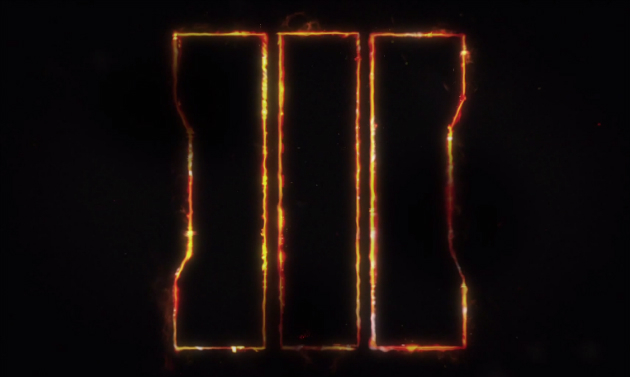 Before we wrap up the Borderlands characters, I want to talk about the first reveal of Call of Duty: Black Ops III. We got our first look at actual game footage yesterday afternoon, so there’s actually some content to talk about today. There’s still a ton of details out there – I would expect more to come at E3, and then beyond – but there was enough in there to talk about and get me on board..
First, let’s talk about what I think is the biggest hurdle facing Black Ops III. Just going off of the trailer, it looks like it’s a similar setting to Advanced Warfare. That means that Treyarch has to create a game that feels different. There is a quick shot in the trailer showing some wall-running, so you know that there’s going to be some Titanfall comparisons. I don’t think that there’s really going to be the danger of too much bleed-over across the games. Treyarch is really good at sticking with their style of game – the Black Ops games always felt very different from the Infinity Ward games. The big news in the trailer, aside from actually showing us gameplay, was the announcement of a multiplayer beta, available by pre-ordering. Call of Duty hasn’t ever really embraced multiplayer betas – especially on consoles – in the past. 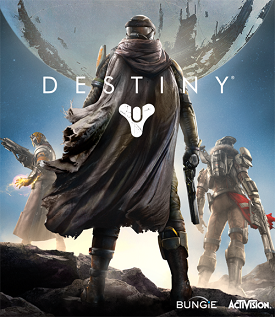 This is now two huge games that Activision has had beta’s for, if you go back to the Destiny beta from last summer. It speaks to their understanding that launch is more important than ever with these multiplayer heavy games, and there’s been plenty of rough launches lately. If they can have a solid launch on November the 6th, that could go a long way towards winning the fall for shooters. The fall is starting to look like the old days with shooters this year – we already knew Halo 5 launches October 27th, and Star Wars: Battlefront is November 17th – now we add in Black Ops III. That’s a busy few weeks right there, not even looking outside of the genre, AND we’re still pre-E3. It’s going to be a crazy fall this year. We got a few details out of the trailer that I think show a different focus for Black Ops III. First, the campaign is going to be four player co-op. That’s a first for the series, with any number of players. Add in the branching paths that are returning for the campaign, and you have a pretty strong possibility for replaying with a party. Customization is always a big part of the Call of Duty experience – especially in multiplayer – and it looks like it’s returning in a pretty big way. The campaign character is custom now – including female characters – which makes sense with the co-op aspect. Gunsmithing though is a new feature – based on what we know so far, it seems like a logical next step from the weapon variants found in Advanced Warfare. One last thing that I think is huge, but I don’t see a ton of chatter about. Call of Duty: Black Ops III will only appear on PC, PlayStation 4 and Xbox One. This is the first in the series to completely move on to the current-gen consoles. That’s huge – Call of Duty is probably the biggest franchise in gaming today. For them to move on completely really shows that we’ve probably hit the end of the road for 360/PS3 support. Which makes sense, we’re two years in now, I think the crossover period really has reached its peak. At this point we’ve probably hit the wave of “normal” adapters moving on to the current-gen consoles. I don’t like to ever fully retire a console, but for practical purposes, the 360 has hit its end. There’s still a lot of information that Treyarch is keeping in hand still. We have E3 in about two months, and beyond that there’s Gamescom to look at, which is where they held the mulitplayer reveal last year. They haven’t said when exactly the beta will be, but best guess is probably right around E3 – June-July makes a lot of sense. It does mean early pre-orders, which I don’t usual recommend, but this is probably a safe bet. After a week off, for a weekend with college buddies, I’m back to look at the big news stories from this past week. It’s had a pretty rocky lifespan on the PC, just recently going free-to-play. Now Bethesda sets their sights on the console market. MMO’s haven’t ever really caught fire on consoles – Final Fantasy has tried a couple times, and Neverwinter is currently making its attempt. 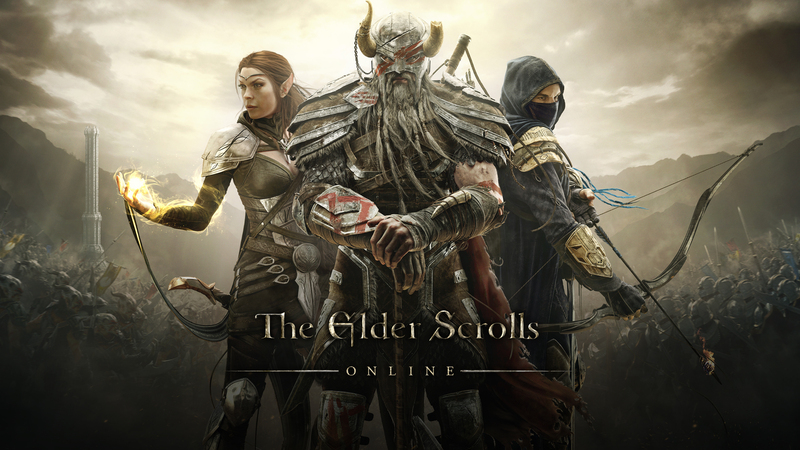 This weekend is also the console beta for Elder Scrolls Online, in advance of the summer launch. This beta could determine just how well an MMO that never really caught on on the PC, on the consoles. After the confirmation a couple weeks back of Black Ops III being this year’s Call of Duty, we went into waiting mode for the worldwide reveal this Sunday. This week though, Activision released a second teaser in advance of the reveal. This one is a little longer, and does a good job of setting the story up. There’s no real concrete info in this trailer to point to, but it does a good job of showing what kind of a story we’re looking at for the campaign. This weekend I expect to see even more details on the campaign, I wouldn’t hold my breath for multiplayer specifics. Activision likes to have a full reveal that’s just dedicated to the multiplayer – last year it was at Gamescom – so we’ll probably have to wait for that. 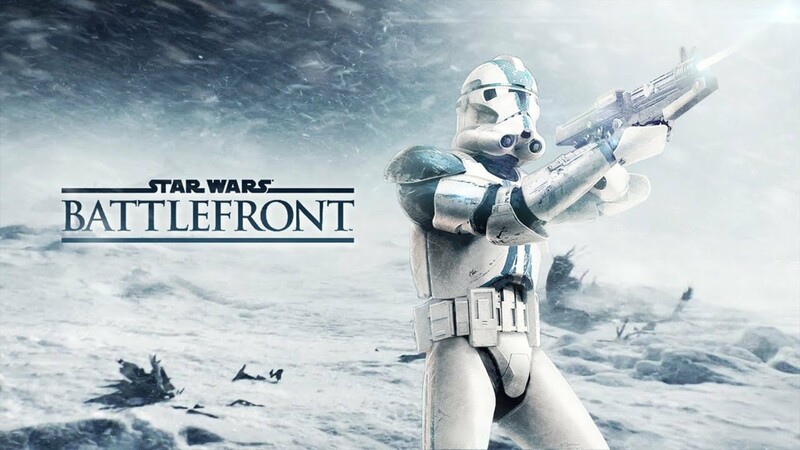 After the reveal of Star Wars: Battlefront last weekend, people are still buzzing about some of the details we learned. One big one that I saw online this week was in relation to the AT-AT being on-rails. I, for one, think that’s the right gameplay decision. It’s an important objective in the Walker Assault game mode, so it is paramount that it plays within the rules. The last thing you would want is to see it wandering off out of the map borders because some troll thought it would be funny. There’s still a ton of stuff to learn about the game – I think we’ll see a lot more this year at E3. We’re nearing the end of our coverage of Borderlands: The Handsome Collection – at least until there’s any future DLC. Today and Monday we’ll wrap up the playable characters available in The Pre-Sequel. After we’re done with Borderlands I want to look back at some of the news that I haven’t really had time to go into yet. But before we get there, we need to look at the first DLC character for The Pre-Sequel – Jack. The first DLC character in The Pre-Sequel was a bit of a surprise. After all, Jack is already an NPC in the game, and we know him as the villain of the second game. Of course, it’s not actually Handsome Jack that you’re playing as – instead “Jack” is actually a body double, who had intense surgery to look just like Handsome Jack. His action skill takes that a step further with two digital copies of himself that continually respawn while fighting enemies. His first skill tree – THE HERO OF THIS STORY – is focused around making your action skill, Expendable Assets, even more effective. Some skills just help keep the Digi-Jacks around longer – whether through kills (Best Foot Forward) or keeping them protected (You Have My Shield). You’ve also got skills that increase your effectiveness with grenades – in particular I like Jack’s Cache, kills grant you stacks of Cache – once you have four of them, when you throw a grenade it takes away the stacks instead. The capstone skill here, Promote the Ranks, you’ll spawn a Badass Digi-Jack. That Digi-Jack has extra health, and can also fire off a powerful missile barrage. It just makes the Expendable Assets skill even more effective – even at higher levels. His second skill tree – GREATER GOOD – is a little interesting. Instead of focusing around a particular stat or element, it’s more based around Fight For Your Life – and not just for you. It’s interesting in that there are skills in this tree that take effect when your Digi-Jacks die, or your teammates enter FFYL mode. You’ve got three tiers of skills right in a row that fall into that category – Teamwork, Commitment, and Accountability. Teamwork gives you extra health regen when allies enter FFYL or your Digi-Jacks die, Commitment is a stacking mechanic that triggers when allies enter FFYL, the stacks increase your fire rate and reload speed; and Accountability is a little different. As your allies and Digi-Jacks take damage, you gain stacks of Accountability, which are lost when you take damage and all are lost when you enter FFYL. The stacks also increase your fire rate and reload speed. The idea of Fight For Your Life even extends to the capstone skill, Leadership, which makes it so when your Digi-Jacks die, it counts as an enemy kill, granting you a Second Wind. Jack’s final skill tree – FREE ENTERPRISE – is another tree that’s a little tricky. It’s more than anything built around tweaking your weapons swapping. Right off the bat, the first two skills – High Frequency Trading and Incentives – give you faster weapons swap speed, and extra fire rate through Incentive stacks. With Compound Interest, you’re rewarded for swapping weapons while attacking enemies – dealing extra explosive damage when you consume the stack. There’s a melee override in here too – Merger – giving you a shock laser attack. The capstone skill here though is really where we get some cool stuff. Based on the last gun you held’s manufacturer, you get a specific buff: Dahl gives you extra recoil reduction, Hyperion extra accuracy, Jakobs extra damage, Maliwan extra elemental damage, Scav bigger magazines, Tediore faster reloads, Torgue more explosive damage, and Vladof faster fire rate. It’s a lot to keep in mind, but if you’ve got a few favorites in your backpack, it can really help you out. 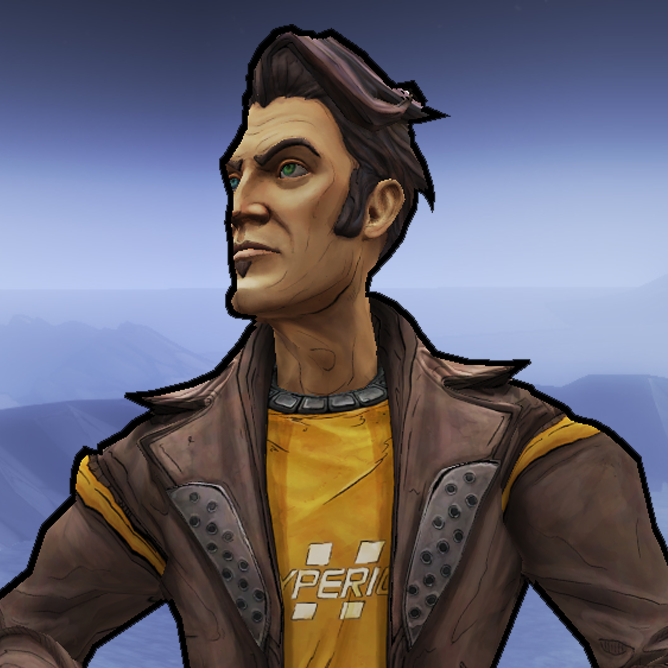 Jack is an interesting character to play as in The Pre-Sequel. His action skill can really help a solo player out, and his skills are really unique – even among the unique skills in this game. We’ve almost reached the end of our journey, looking at the playable characters in Borderlands: The Handsome Collection. Today we’re looking at the final default playable character available in the two games, Wilhelm. 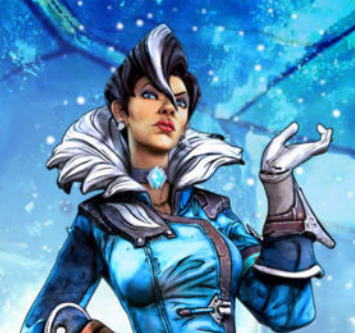 He originally appeared as a boss in Borderlands 2, much like Nisha did. Similarly, his backstory is really fleshed out during his time on Elpis in The Pre-Sequel. He’s an interesting character to play as, with an action skill that really works well in both co-op and solo play. Wilhelm’s action skill sends out two A.I. drones, Wolf and Saint. Of the two, Wolf acts as an extra attacker, seeking out targets and engaging them; while Saint is more focused on keeping you healthy. It’s kind of similar to Mordecai’s Bloodwing skill in the first game, just a bit more in depth. It lets you keep Wilhelm safe while still dishing out some real damage. That makes his skill trees easy to pin – each has a skill tree that more or less dedicated to each of the three pillars of his characters – Wolf, Saint and himself. His first skill tree – HUNTER-KILLER – is built around Wolf. It’s not solely focused on it though, like any tree, there are other skills in there. In this case it amounts to skills that increase your effectiveness with elemental guns. What this tree does well is not dividing up the skills too much. In order to keep Wilhelm himself from wasting away, there are skills in here that both impact Wolf and himself. For example, Venom Bolts gives Wolf the chance to deal corrosive damage, while also increasing the corrode chance and damage for Wilhelm. Skills like that keep the tree from limiting Wilhelm too much. Where that isn’t exactly true is the capstone skill – Omega Strike – which is solely for Wolf, having him shoot off a missile strike periodically. Wilhelm’s second skill tree – CYBER COMMANDO – is more based around making Wilhelm a more badass cyborg fighter. There are skills in here that actually change Wilhelm’s physical appearance, in addition to upgrading his abilities. You can upgrade his arms (Power Fist), which gives you a rocket punch; his legs (Shock Absorber) which lets you shoot while sprinting; and augment his weapon with the capstone skill. That capstone skill – Vengeance Cannon – gives you a shoulder mountain cannon that fires when your shields are depleted; it shoots incendiary lasers in tandem with your gun, and lasts for 12 seconds. There is a lot more going on in this skill tree – a lot of the skills relate around your shields, but your focus should be the cyber skills. Finally, his third tree – DREADNOUGHT – is more about Saint. Along with making Saint a more effective supporter, there are also skills along the way that keep Wilhelm alive. Unlike the Hunter-Killer tree, his Saint skills don’t have extra aspects for Wilhelm here. I think that’s probably because this tree is already focused on keeping you alive. Your first couple tiers of skills all increase your shields and health regen rate, plus keep the cooldown on Wolf and Saint down. Then you get his tier three skill – Termination Protocols – which replaces Fight for you Life. That really can help you, since you are still able to move about and fight as usual. Like Hunter-Killer, your capstone skill here is focused on Saint – Overcharge has him overcharge the players, which makes you move faster, shoot faster, reload faster and also regenerate ammo. It’s a great skill for support play, but maybe not the most offensive focused. 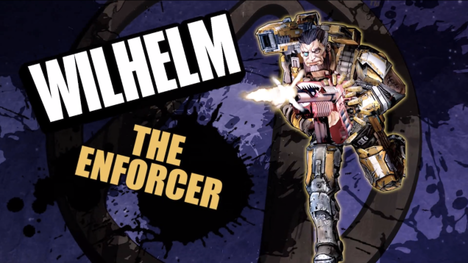 Wilhelm is right up there with Claptrap for the more co-op focused characters in The Pre-Sequel. Going down that Dreadnought tree really can help out the whole party with shield boosts. Add in the fact that Wolf is part of the package deal and you have a pretty well rounded character.